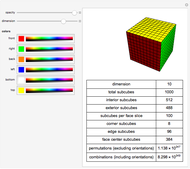 This Demonstration shows some of the numbers behind Rubik's cube, as well as its bigger and smaller cousins. 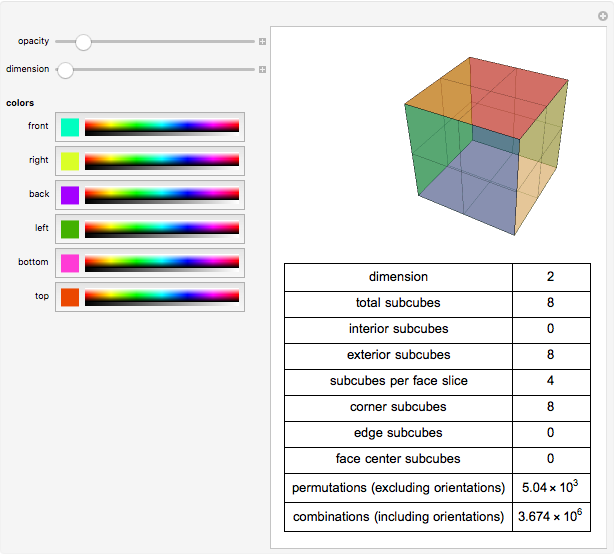 Use the sliders to control the opacity and dimension of the cube, which can range anywhere from a 2×2×2 cube to a 12×12×12 cube. 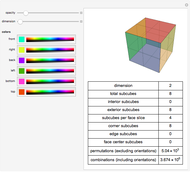 You can also change the colors of specific faces by using the color sliders. 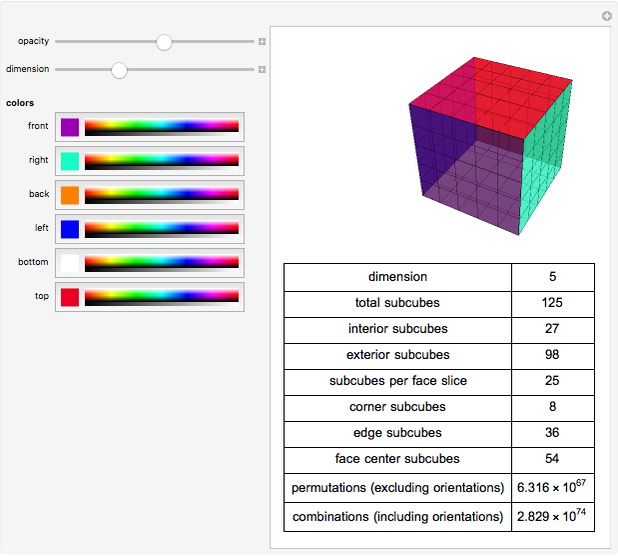 As you change the dimension, have fun observing what happens to the number of subcubes exhibiting certain properties and relative locations within the cube, as well as the number of permutations and combinations of positions the cube can take. The On-Line Encyclopedia of Integer Sequences. 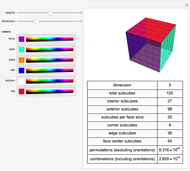 "A075152: Number of Possible Permutations of a Rubik Cube of Size n X n X n." oeis.org/A075152. Megan Chen "Some Numbers behind Rubik's Cube"